Japanese brokerage Nomura estimates that casinos in Macau collected gross gaming revenue (GGR) at the rate of about MOP840 million (US$103.92 million) a day in the first 10 days of this month, which included the Chinese New Year holiday period. The stockbroking arm of the Nomura banking group issued a note on Monday saying the rate of GGR was about 10 percent higher than in the equivalent period last year. The note says growth in average daily GGR in the mass market for casino gaming in Macau was about 2 percent or 3 percent higher than the average in January, the hold percentage in the VIP market was about 3.1 percent or 3.2 percent higher, and volume growth in the VIP market was about 10 percent higher than the average last month. Nomura now forecasts that Macau casino GGR this month will average about MOP1 billion per day, 10 percent to 15 percent more than a year ago. 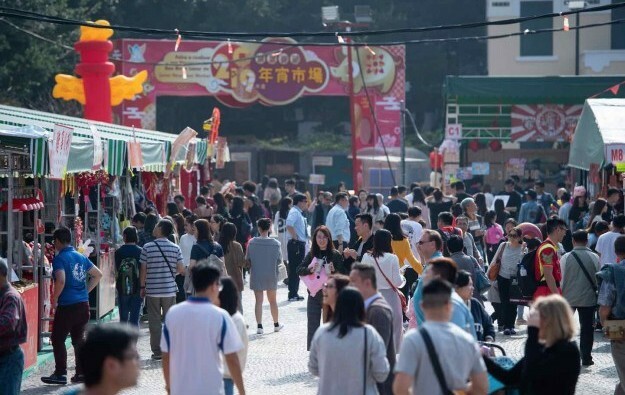 The Macao Government Tourism Office (MGTO) said on Monday that Macau had 1.21 million visitors between February 4 and February 10, or 26.6 percent more than in the equivalent period last year. Never before had Macau absorbed so many visitors during any Chinese New Year holiday period. The tourism office also posted figures on its website on Tuesday that indicate boosted hotel occupancy rates for the week-long holiday period. Occupancy rates were higher this Chinese New Year period than during the equivalent period last year. The data says the average occupancy rate for hotels and guest houses was 96.7 percent this year, up from 94.5 percent last year. Another indicator of the trend for casino GGR is traffic at Macau International Airport because high-rolling gamblers are thought to be more likely to fly into Macau than to come by other means of transport. The airport operator posted a statement on its website on Monday saying the Chinese New Year holiday period this year was its busiest ever. The statement says that between February 5 and February 10 the airport handled more than 180,000 passengers, 18 percent more than in the equivalent period last year and the most in any Chinese New Year holiday period yet. On February 10, the sixth day of the Chinese New Year, more than 32,100 passengers used the airport, the most in any single day since the airport opened, said its operator. Sanford C. Bernstein Ltd said in a note also released on Monday that the surge in visitor arrivals during the holiday period had not supported a similar increase in casino GGR. The brokerage says it estimated that Macau’s casino industry would post year-on-year GGR growth of between 2 percent and 5 percent for February.